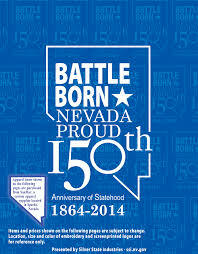 Nevada has been working up to its sesquicentennial celebration for an entire year, which has been a lot of fun to see unfold. There was a challenge to see if there could be 150 official events and it turned out that there were over 500! And I think more are happening before the end of the year. 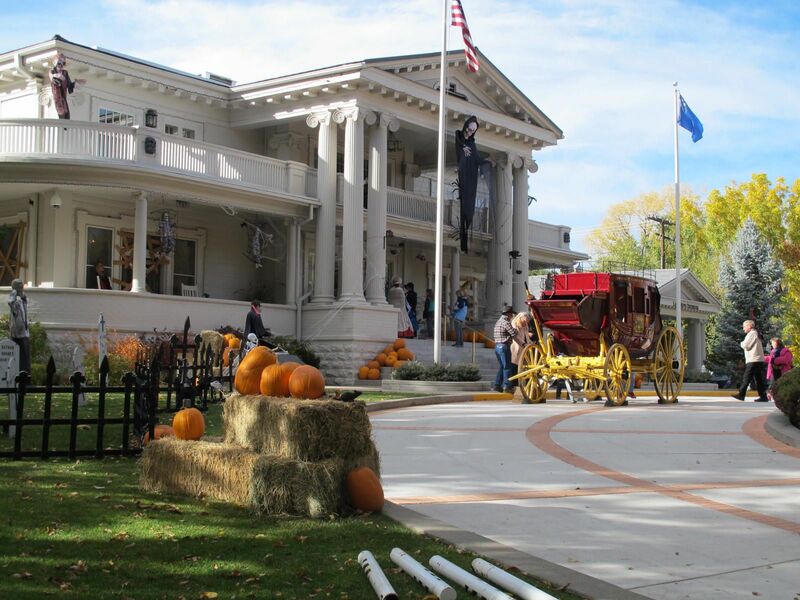 The climax was this past weekend with the gigantic Nevada Day Parade and a tour of the Governor’s Mansion…open to everybody. It was great! The day dawned dark and cloudy with snow in the mountains and rain on the valley floor. But this didn’t deter anyone. There was a 5K race and a pancake breakfast at the Governor’s Mansion (at which the Gov himself helped serve attendees) before the parade and then the mighty parade itself. Thousands of people were there before 8 AM and the parade didn’t even begin until 10. Oh my goodness! The Rose Parade has nothing on this one. Anybody and everybody may participate and I think they did. It lasted for a bit more than 4 hours!!! Since it’s an election year, all the politicians were in it with all their campaign propaganda. 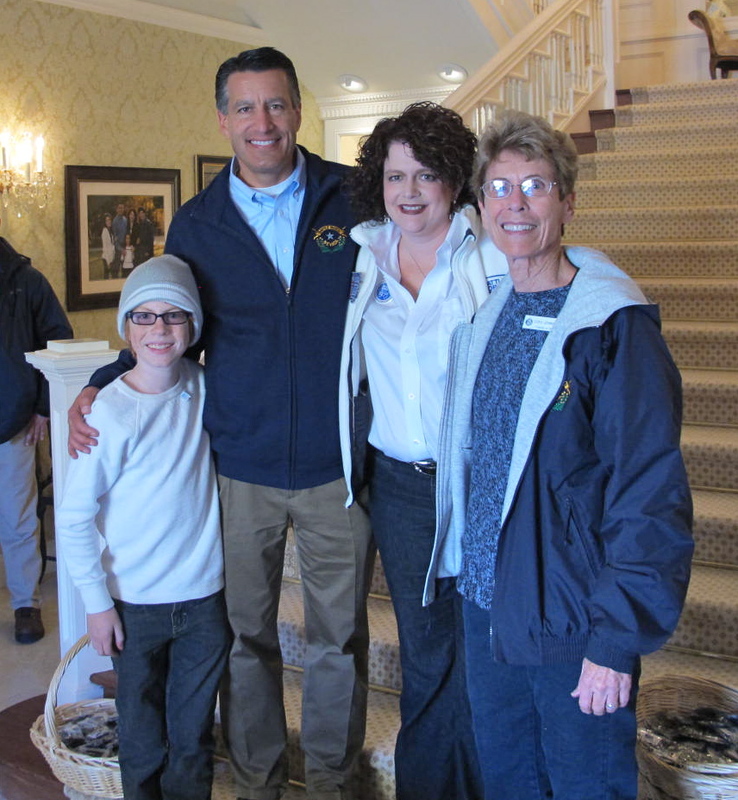 Governor Sandoval walked the route with some of his supporters. One politician wannabe even had 2 huge semi-tractor trailers emblazoned with his name and “Vote for Me.” There is not much regulation, except that they can’t throw candy from the floats/trucks/tractors/cars, etc. So people walk and hand candy to people on the curb. It’s an amazing, awesome, down home event. My part in it was to be in charge of the Friends of the Nevada State Museum bake sale. I was there by 7:30 loaded down with donated baked goods, gallons of cocoa (that I’d made and home and hauled to the museum), coffee, soda and water. Friends helped set up the booth and we were off and running. The cold, stormy weather helped us sell a lot of stuff. I was beat by 2 PM but I was pleased that we took in more than twice as much as the last bake sale. 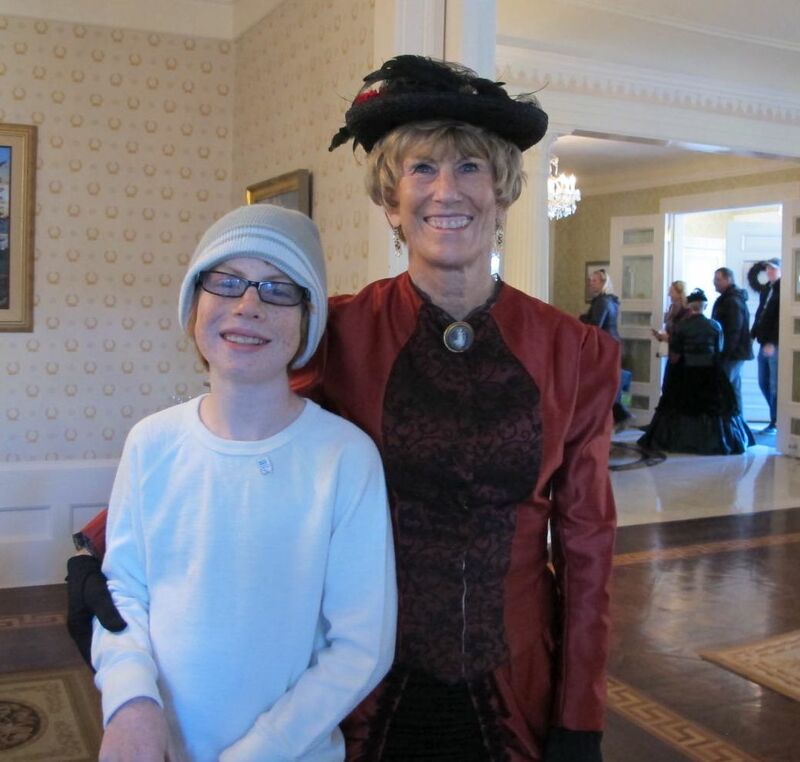 After the cleanup, grand-nephew Dalan and I went to the Governor’s Mansion to enjoy the open house. We had to wait in line perhaps 10 minutes to get in, but it was worth it to get a glimpse of the official first residence. Wikipedia says: The Governor’s Mansion of the State of Nevada was built between 1908 and 1909. Until that time, Nevada’s governors and their families found lodging where they could in or near Carson City, the Capital. State Assembly Bill 10, the “Mansion Bill,” was passed in 1907 to secure a permanent site and residence for a Governor’s Mansion. Mrs. T.B. 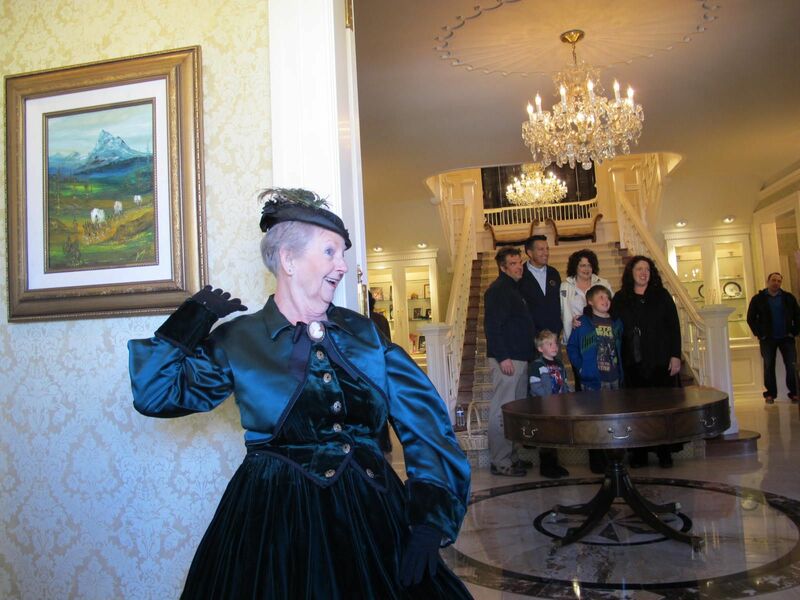 Rickey sold the land where the mansion now stands to the State of Nevada for $10 and George A. Ferris, a Reno architect, designed the mansion with Classical Revival features and Georgian and Jeffersonian motifs and a construction bid was awarded for $22,700. Acting Governor Denver S. Dickerson and his family were the first residents when they occupied the mansion in July 1909. The building was first opened to the public during an open house New Year’s Day, 1910. The governor’s daughter, June Dickerson, was born in the mansion on September 2, 1909, and was the only child ever born in the home. 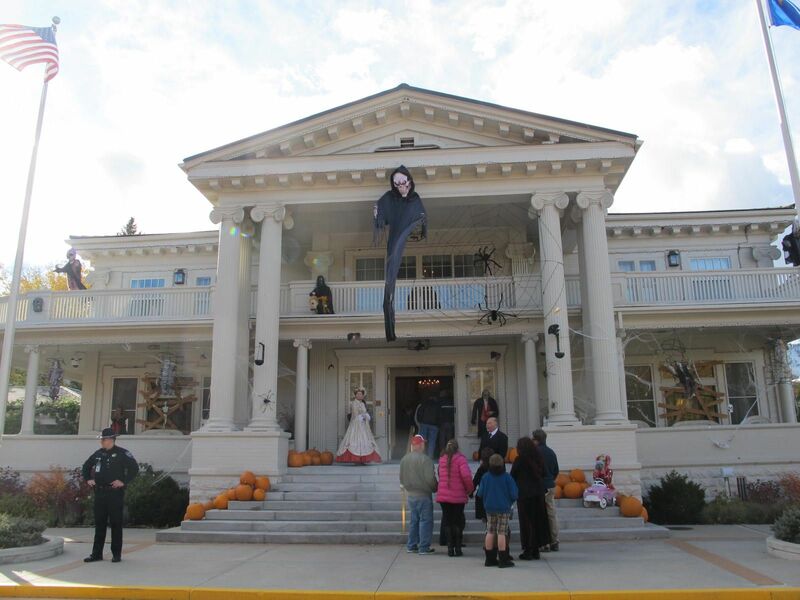 This is the only governor’s house that I know of that is decorated for halloween and the governor and his wife actually give out Halloween candy. 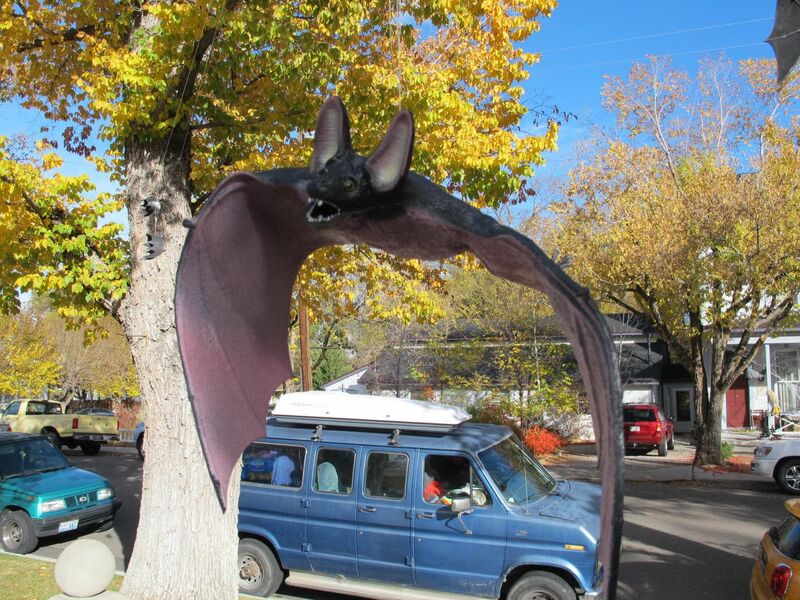 Thousands of kids visit the house on Halloween. 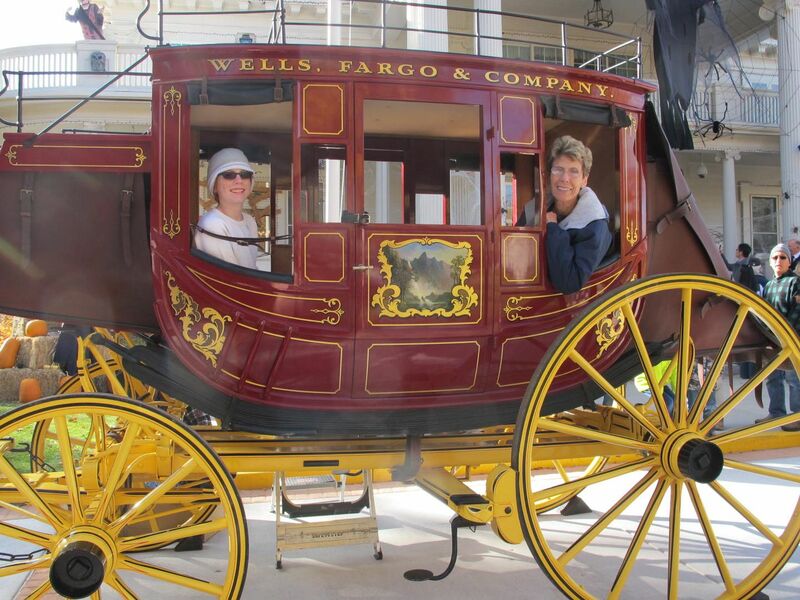 Dalan and I took advantage of the Wells Fargo stagecoach. The photographer liked my camera. Me, too! 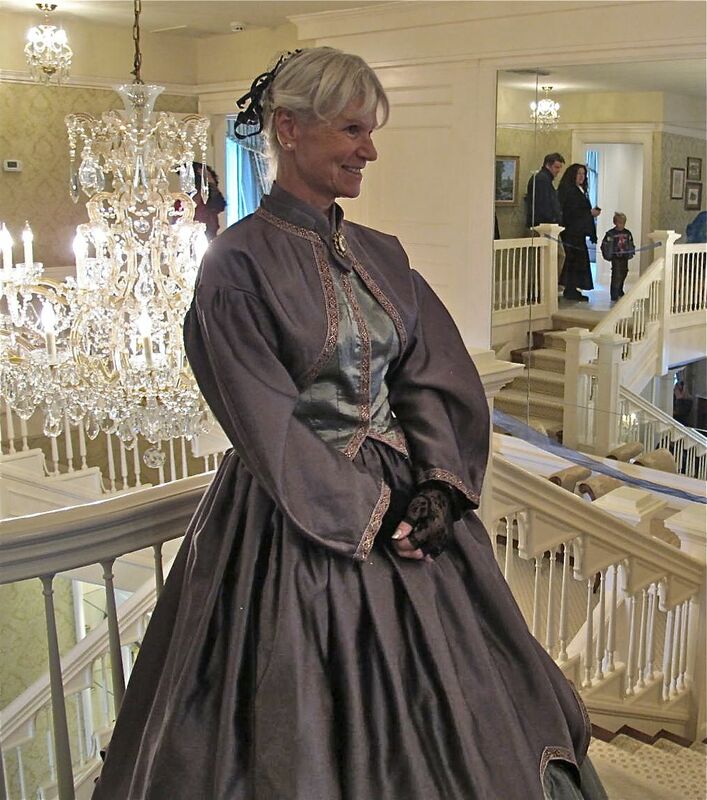 Several Friends of the Museum dressed in period costumes who were stationed around the Mansion to give an overview of each room. 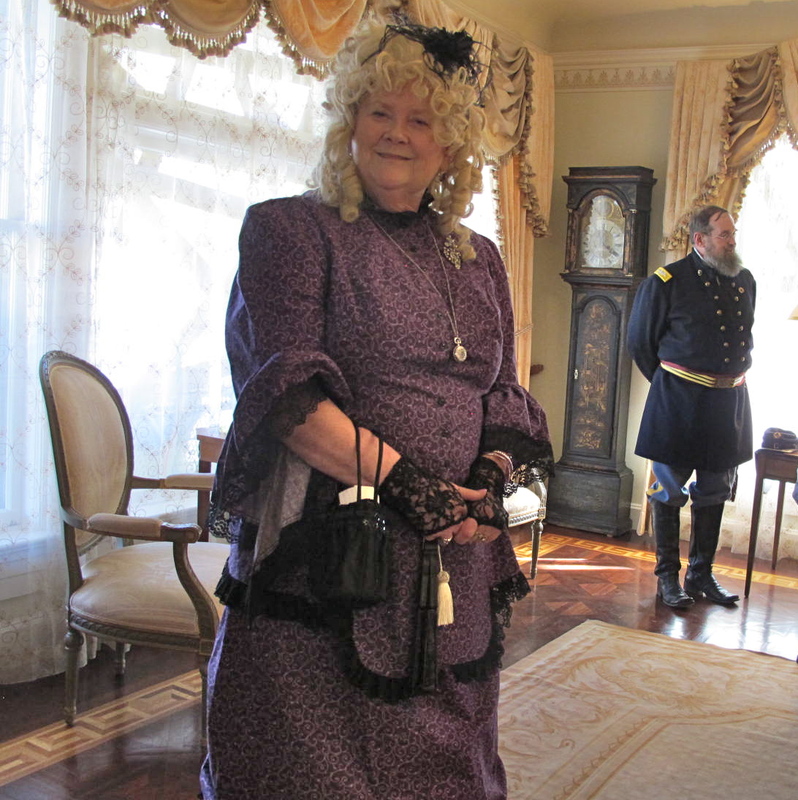 Unfortunately, I didn’t get much of the furnishings as I was more interested in the costumed people in the house. Here are our costumed friends. 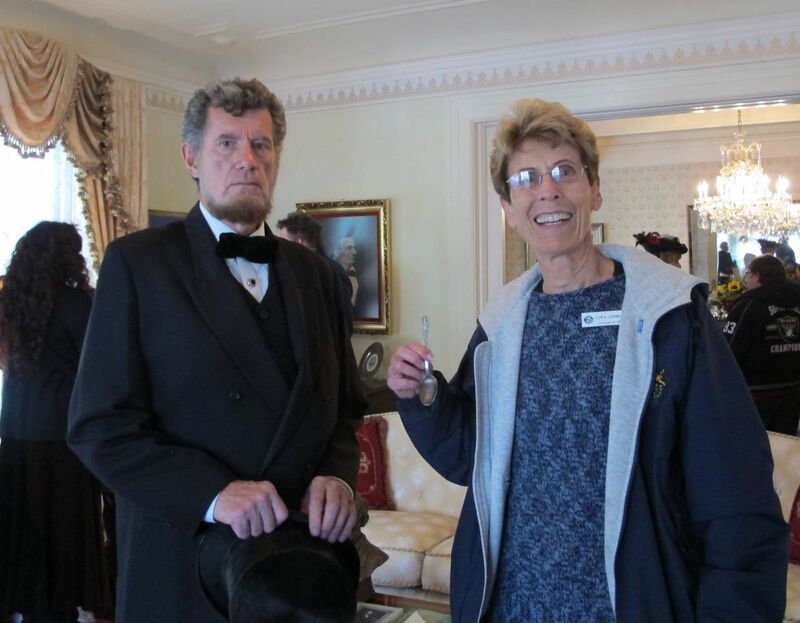 Tina helped usher in the guests of the day. 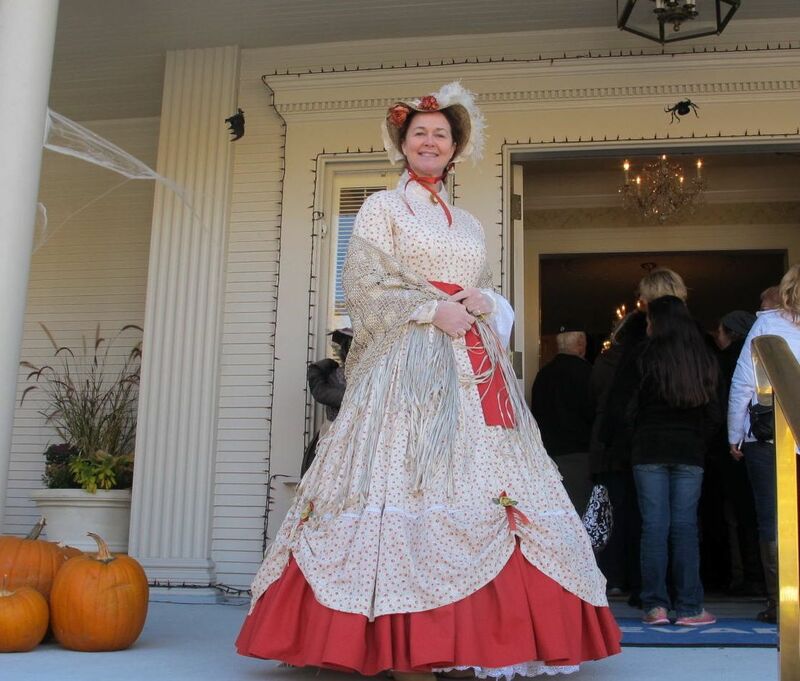 She also made several of the dresses worn by the other ladies. 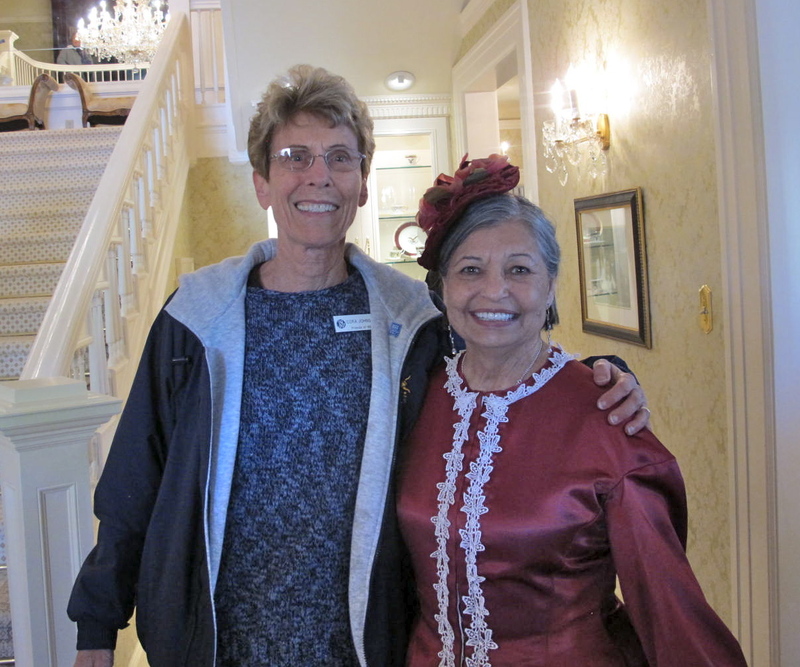 Jan was the second greeter just inside the Mansion. People loved her! Teri was stationed at the beginning of the tour. We are good buddies. Dalan and I with Governor and Mrs. Sandoval. They are such nice, gracious people. Anne in a main downstairs room. The clock by the soldier is supposed to be haunted as its chimes ring on occasion. It is not hooked up to anything and has not been wound for years. Jerri and Dalan in the formal dining room. Lookin’ good, huh? 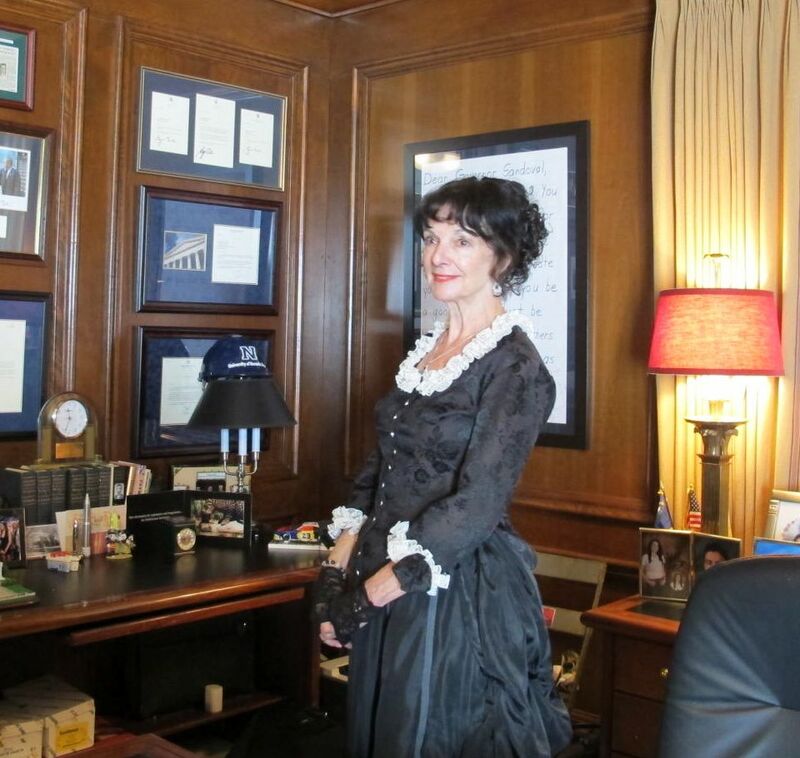 Diana in the Governor’s working office at home. Kathy in the upstairs living quarters. 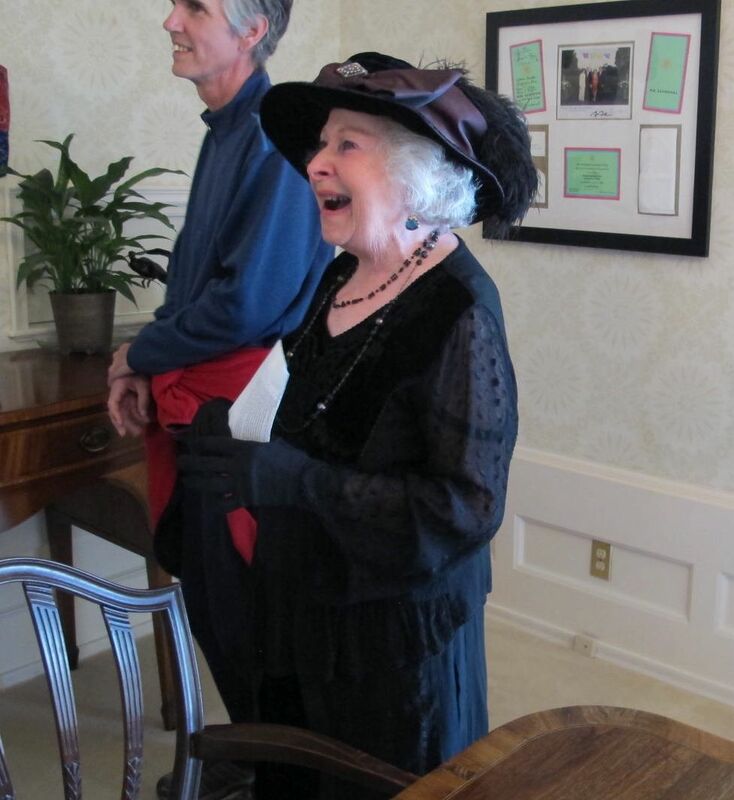 Alyce, below, is enjoying a good laugh while doing her stint in the informal dining room. Yes, the Mansion is allegedly haunted. There are many, many stories about hearing things, cupboards being opened when no one was in the area and other tales. Who knows for sure?